Network infrastructure represents a major part of the capital expense of an emerging technology rollout. Ensuring that the infrastructure plan is designed to be cost effective, robust, and flexible in meeting future needs is critical to achieving optimal return on investment. Our expert architecture and design team will help you meet these objectives. Our approach utilizes proven tools and methodologies that are founded on extensive technical expertise and significant real-world deployment experience. Our experienced engineering staff, combined with world-class tools and processes, offers end-to-end design expertise and helps to eliminate costly errors and redesigns. Utilizing the high-level design produced in the Network Architecture Service, our senior engineers develop a complete, implementation-ready engineering design package documenting the configuration parameters for equipment. By partnering with us for your detailed network design, you are able to take advantage of our expert resources and produce a comprehensive design solution that achieves your objectives while utilizing knowledge from past implementations and industry best practices. The needs assessment starts with a complete a through sight survey to ensure design meets 100% of your needs. Networks are built with carrier grade equipment that will ensure a long life and rock-solid performance. UnWired provides professional installation at your location by certified network installation technicians. In addition to Monitoring your network to ensure maximum uptime, UnWired provides 24×7 End User Technical Wireless Support 365 days per year via a toll free number. Your Guest can call any time for assistance freeing you to manage your business. Already have a high speed Internet system? 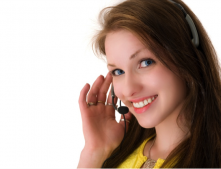 Why not provide users with the piece of mind of a 24×7 hotline in case they experience problems. Don’t burden your staff with people’s Internet/Computer configuration problems or troubleshooting your network–let us take care of that for you!